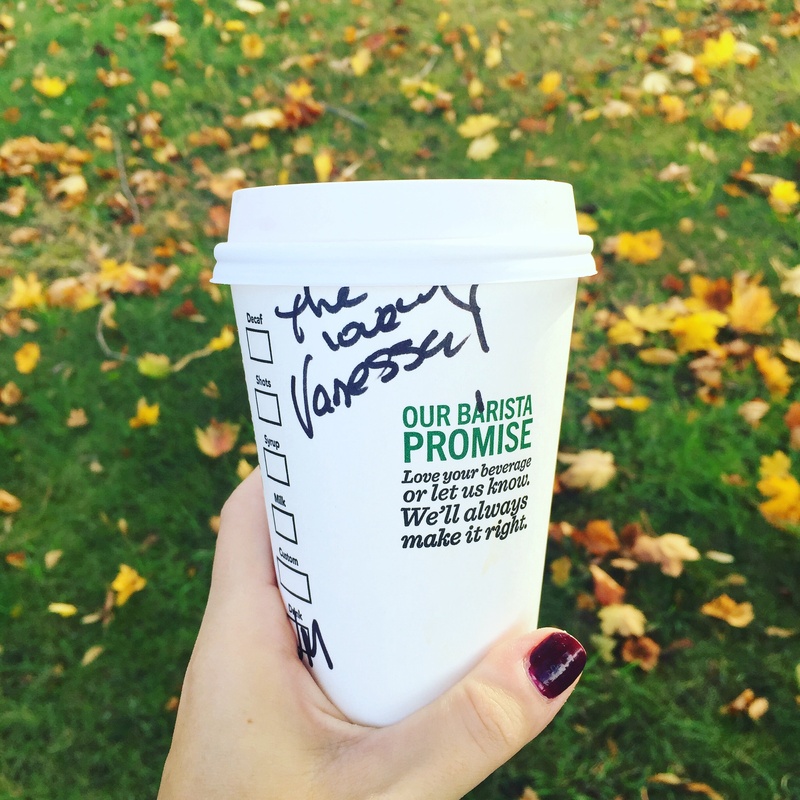 How is it the end of October already? While I’ve been loving all of the pretty fall foliage, the warm-ish days, my morning Pumpkin Spice Latte, and decorating pumpkins, this month has escaped me. In just a few days it will be November, I will have an upcoming birthday, and we will be talking about Thanksgiving and the holidays. Big box stores, don’t think I haven’t noticed your not-so-subtle hints about what’s to come! But in the meantime, I’m going to enjoy these last few October days and Halloween (what are we all going to be?). 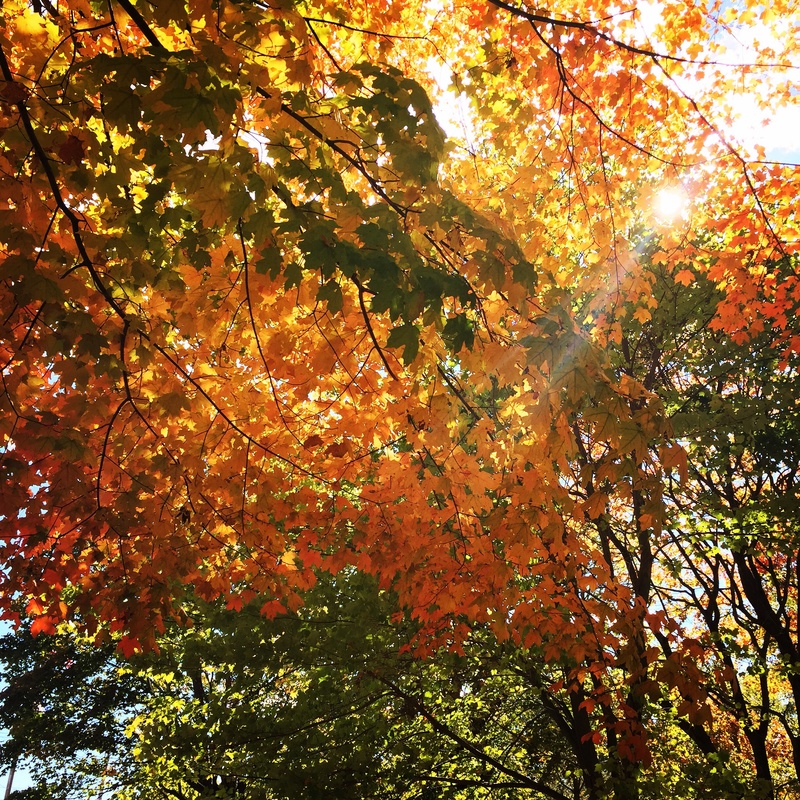 I will slow down enough to watch the leaves that are changing right before my eyes; to take in those fleeting days where it’s chilly in the morning but warm by mid-day; and to start embracing fall! P.S. I’ve teamed up with 6 lovely bloggers to giveaway a $120 Nordstrom giftcard! Be sure to check out my Instagram and follow the rules to enter before October 29th at 10pm EST. Good luck! Love the photos! How do you edit? Thanks, Seyra! Most of my photos are unedited. Some images that I posted on Instagram have a filter, but I prefer the natural look when possible. I hope that answered your question. Thanks, Shveta! I’m glad you liked the photos. I can’t believe it is the end of the month already. Isn’t it so pretty out now? Glad you enjoyed the post, Ashley! Thanks, Yasmin! 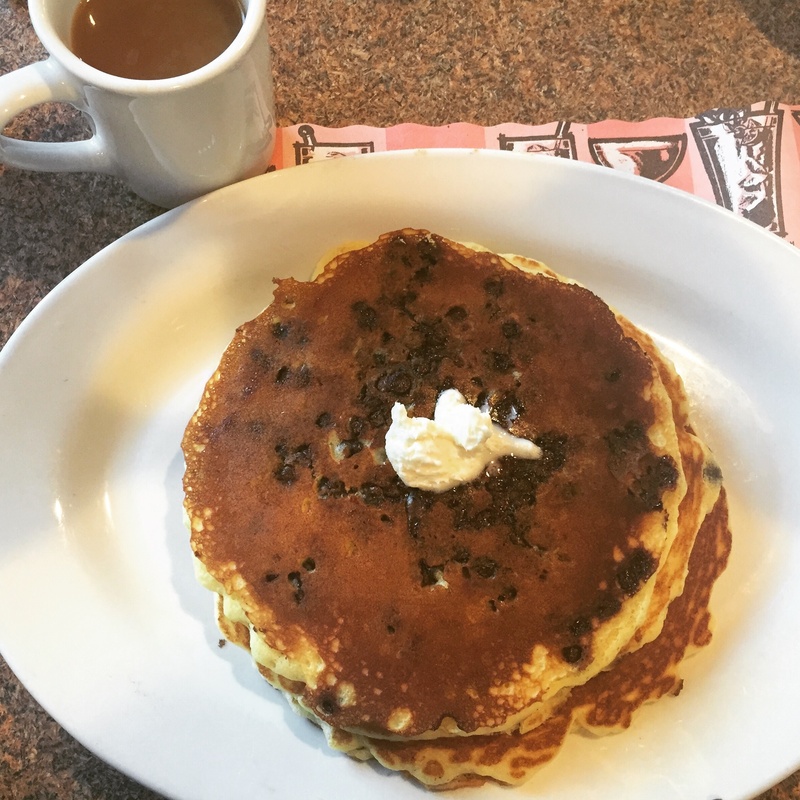 I love chocolate chip pancakes for breakfast…even though I had them that day for lunch. I know, it’s crazy how much time is flying! I would have to say that November is my favorite month, outside of September (my b-day month) because I love the anticipation of Thanksgiving and the leaves have already changed, not much green in sight, I love it! I love your pics here, especially the first one, so pretty! Thanks, Jalisa! I’ve been enjoying all of the fall foliage this month. It’s such a pretty time of year. Hope you’re having a great week! Thanks, Dara! It’s from H&M. I’m glad you enjoyed the post and thanks for visiting Living in Steil! Beautiful photos! The fall leaves are so amazing! Thank you, Valerie! I’m glad you enjoyed the post and thanks for visiting Living in Steil. These fall colors are gorgeous! Loving all this pics, love! 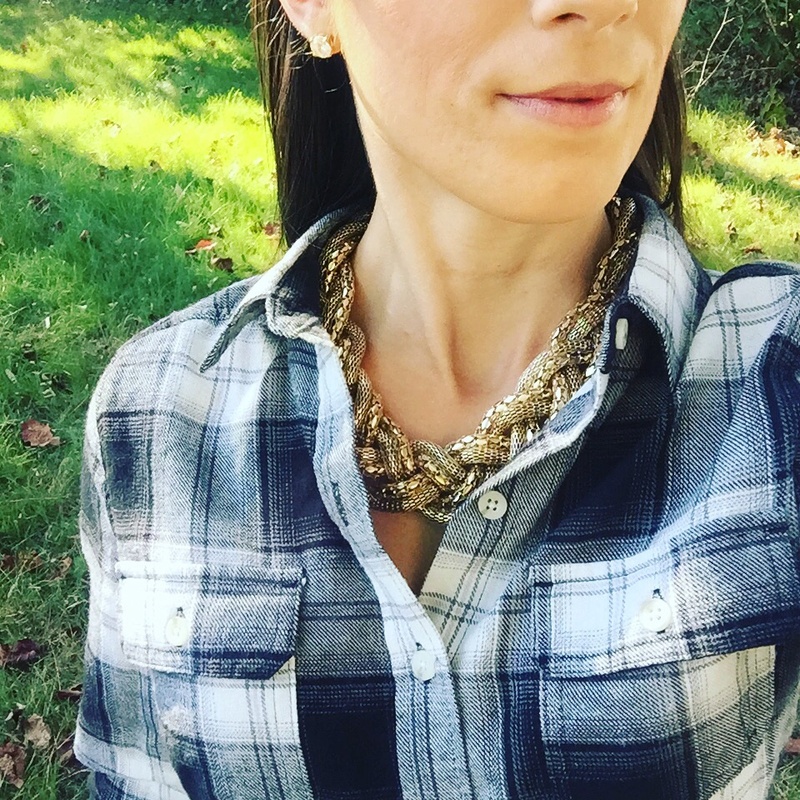 Such a perfect fall post, your necklace is so pretty! Loving the photos! Those pancakes look AMAZING. Thanks, Jill! The pancakes were delicious, and brought back lots of great childhood breakfast memories for me. Gorgeous pictures. 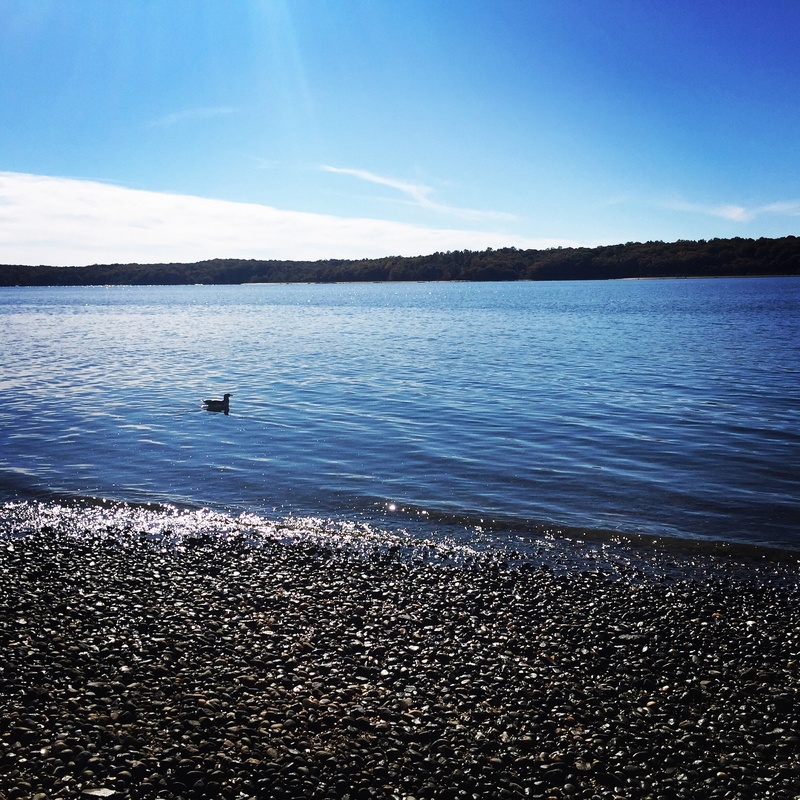 I cannot believe October is almost over…where the heck has 2015 gone?! I also just read your Liebster Award blog post and really enjoyed the information you shared!! Thank you! This year has gone by so quickly. I can’t believe there are only a couple of months left of 2015. I’m glad you enjoyed the post and thanks for visiting Living in Steil!